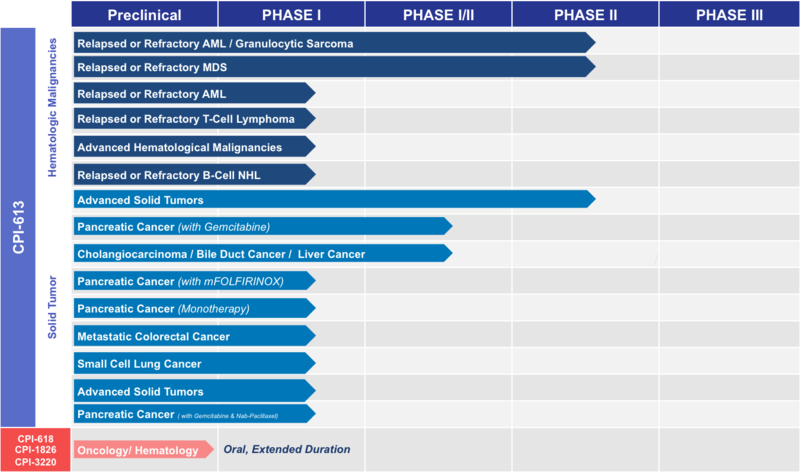 Rafael’s lead AMD compound, devimistat (CPI-613®), is being evaluated in 18 ongoing or completed Phase I, I/II, II and III clinical studies as a single agent, as well as in combination with standard drug therapies, in patients diagnosed with advanced solid tumors or blood cancers.  Rafael’s lead AEMD compound, CPI-613, is being evaluated in 15 ongoing or completed Phase I, I/II, and II clinical studies as a single agent, as well as in combination with standard drug therapies, in patients diagnosed with advanced solid tumors or blood cancers. Please visit clinicaltrials.gov to learn more about clinical trials of CPI-613.